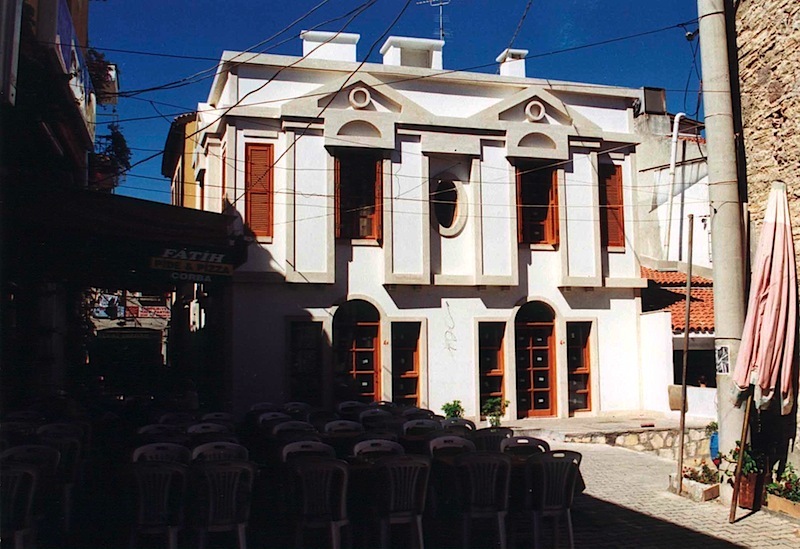 Facilities : An old Çeşme House restoration and an annex. 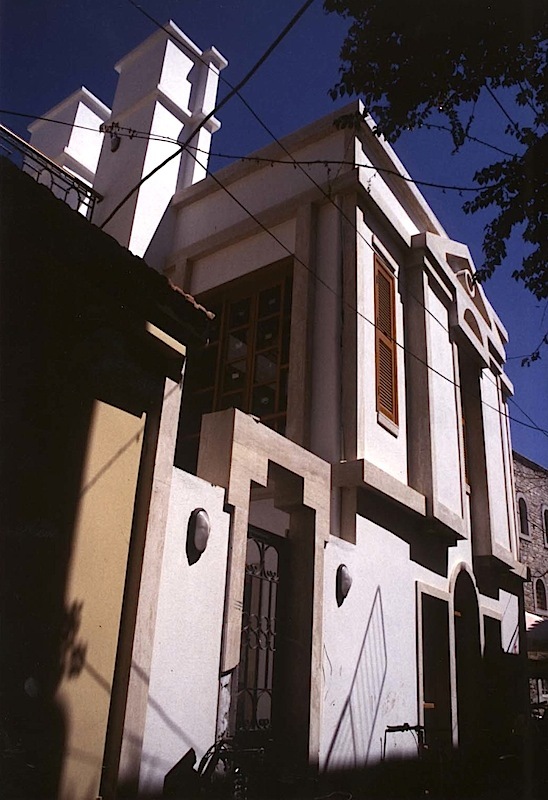 In this project, the aim was to restore an old residential building situated in the town center of Çeşme, İzmir and to build an annex on the empty lot next to it, both of which were to be commercially used. In order to achieve this, the two buildings have been joined together with a courtyard in between. 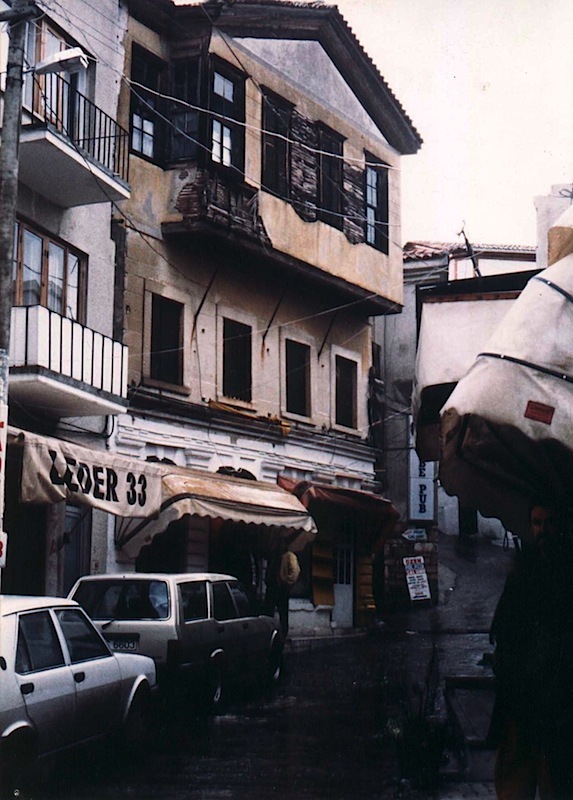 The cross-vaulted, two storey high ground floor of the old building was to be used as a bar, preserving its structural and spatial characteristics and the upper floor has been turned into an open office. A harmonious unity has been tried to be achieved in the design of the two buildings as a whole. 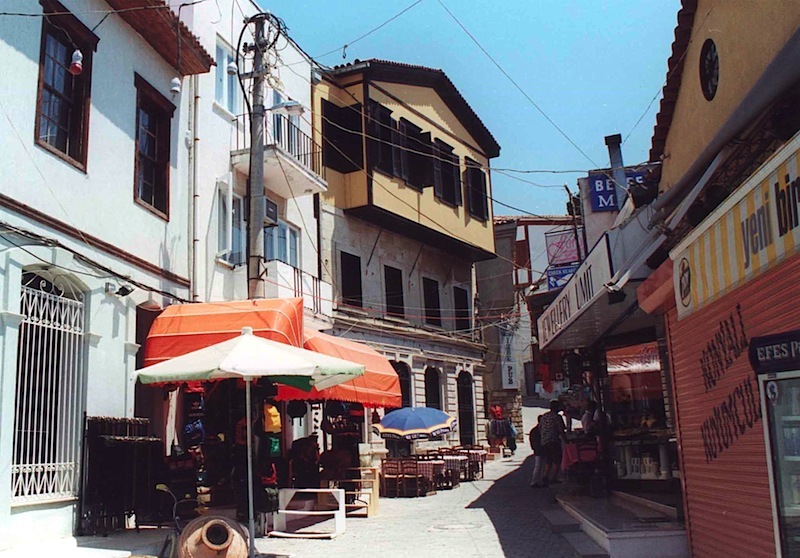 In order to achieve this, the language and patterns borrowed from traditional Çeşme Architecture (such as the concept of a cool courtyard, narrow wooden shutters and facade ornamentations) have been used in the new building.